The North American F-100 Super Sabre is an American supersonic jet fighter aircraft that served with the United State Air Force (USAF) from 1954 to 1971 and with the Air National Guard (ANG) until 1979. The first of the Century Series of USAF jet fighters, it was the first USAF fighter capable of supersonic speed in level flight. The F-100 was designed by North American Aviation as a higher performance follow-on to the F 86 Sabre air superiority fighter. 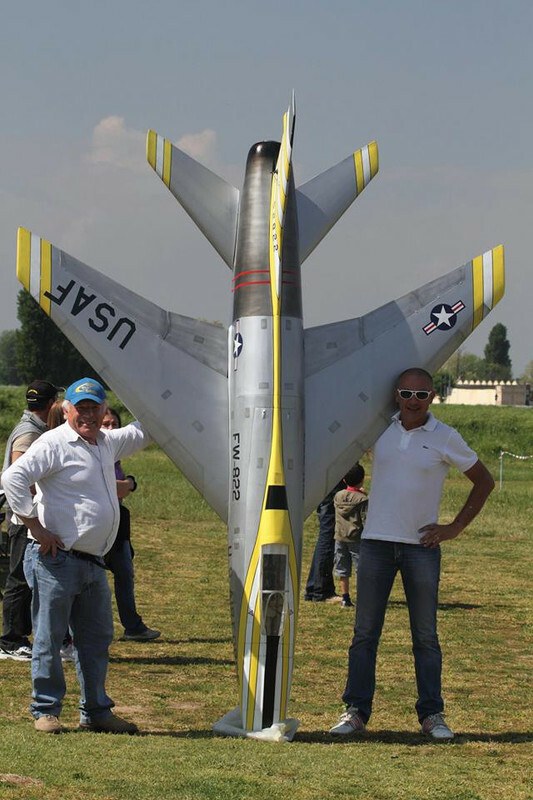 "MIRCE MODELS" in partnership with Damiano Orizio offer short wooden kit for F-100 Super Sabre RC jet model. Wingspan: 2500 mm / 98,4"
Length: 2865 mm / 113", with front tube 3150 mm / 124"
An interesting story behind F 100 Super Sabre project. A few years ago Damiano drew this model in the 3D program, but the wings, the elevator and rudder were made of foam. With such a model flew more than 750 times !!! Last year, I got drawings from him, but I had with my friend Martin to draw again all the foam parts out of the wood, to be able to offer a wooden kit. For the construction of the wing we used the design of another Damian's proven model - the F 86 Saber. So, now important to accentuate is that complete model was first drawn in 3D program. 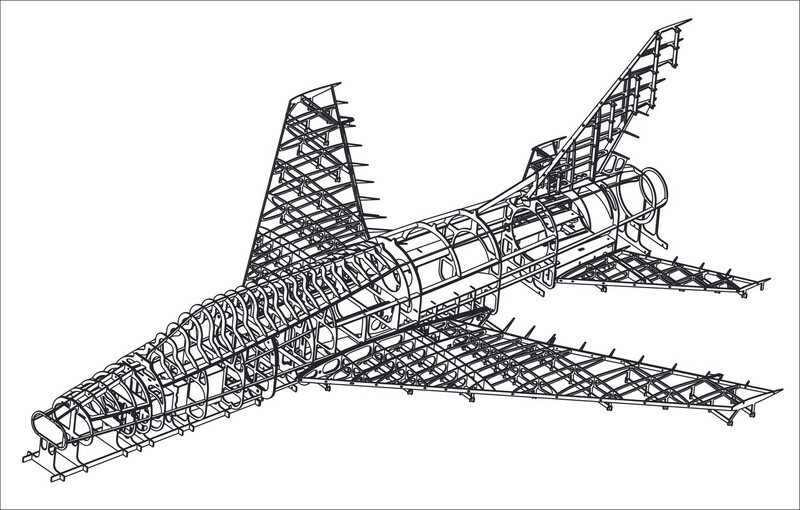 In combination with 3D drawing, parts fit perfectly and modeler need minimum time to assemble F-100 Super Sabre kit. On RC Universe is topic about this F 100 Super Sabre. Price for short wooden kit is 450,00 Euro. Shipping is not in kit price, worldwide shipping cost 90,00 Euro, with 3D printed tanks shipping cost 110,00 Euro. Wooden kit and all other parts are on stock, day - two after payment the package will be sent. *you can order one or another wing tanks set!!! On 3D drawings we use Behotec C 50 landing gears & wheels. Francesco Mondinelli made cockpit for this "Mirce models" F 100 wooden kit. We recommends covering the air frame with 3 mm balsa and 20 gr - 100 gr fiberglass cloth & epoxy resin.